You can see the potters at work in what was the old stable building, just off the courtyard. 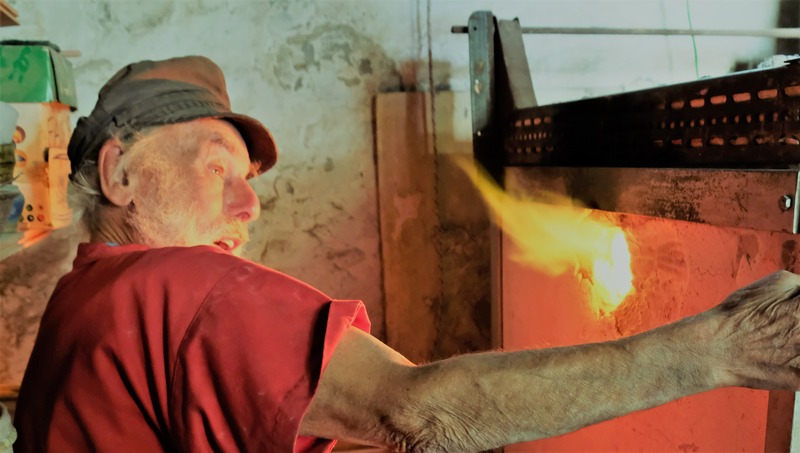 Berey Pealing works in stoneware, Don Hudson earthenware: both masters of their craft, and both happy to demonstrate and talk about the processes involved. It’s quite a thing to see in action: a lump of wet clay being shaped on a wheel, a process older than the Mill itself. Why not take home one of their pieces to remind you, every day, of Lyme and the sea? It’s the finish that sets their work apart – Don decorates with coloured slips before glazing and Berey colours by dipping into glazes. For Berey the colours gently overlap and bleed into one another producing a blue, aquamarine and sandy yellow seascape. “Well, wouldn’t you be inspired by the sea here?” asks Berey. They both live here in Lyme, by the sea… For how long? “Oh, for ever!” smiles Don. Since the summer of 2017, Don and Berey have welcomed a dynamic young addition to the team, potter Harry Anderson: a new face to look out over the stable door, bringing new ideas and re-establishing ‘throw a pot’ sessions where visitors can try their hand at the potter’s wheel. All three potters can be found working most days, so please come in, even if the door is closed. They are always happy to chat and explain whatever process they happen to be engaged in. 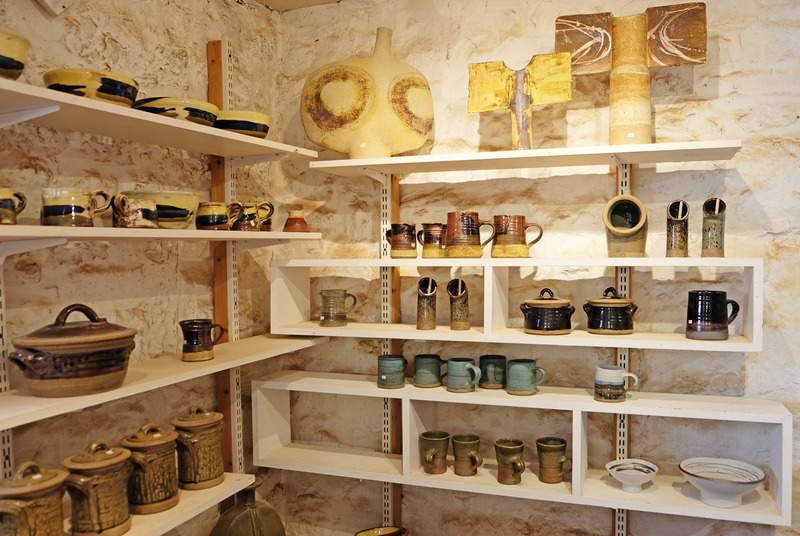 There is also a small display area, where you can browse the ceramics.